Yes, this picture is big. This is because it's one of the best movie posters ever made. This is a fact. Purely and simply, Drive is a love story to 70's and 80's Carsploitation action extravaganzas. It's a film that embraces the genre, warts and all, and packs it neatly into an art-house box. Nicholas Windig Refn's unique take on this type of film makes it play more like a slow-burning character study than a down and dirty crowd-pleaser. While this direction keeps Drive from being as easily accessible to mainstream audiences as the films it pays homage to, it still keeps the fast cars, gruff gangsters, helpless ingenues, cheesy synth-pop and all else needed to induce white-line fever. You just need to give the film time to seduce you. 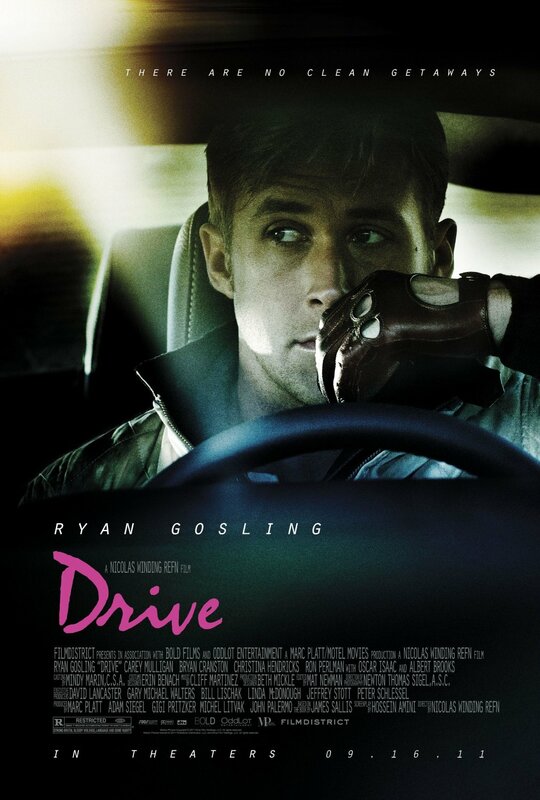 Drive is beautiful, violent, poetic, and brutal. Plot-wise, Drive is very straightforward and simplistic. It is the type of film that is so much more than a summary of it's narrative would imply. It is the story of a mechanic who occasionally works as a Hollywood stuntman and moonlights as a getaway driver. One day he meets a woman who lives in his building, the classic "damsel in distress", and almost instantly his separate lives start collapsing in on each other. It's a story as familiar as breathing and populated with archetypal characters. Most movies of this genre use this familiarity and these standard character types to ease the audience into the film quickly so they can focus on the action and spectacle of the story. What Drive does differently is it switches the focus away from the action and onto these characters. This focus makes Drive more about the people and less about the situation they are in. You come to understand each of the characters' motivations and how they justify their actions. You know why they do what they do. This understanding is what makes the film truly interesting and engaging. By empathizing with each character you realize that everyone involved, from the protagonist to the antagonist, has a blurred sense of morality. You realize that while there is clearly a "good guy" and a "bad guy", it is also clear that they all share similar characteristics. Suddenly the archetypes don't seem so black and white. What it all boils down to is realism. Drive feels so much more real than most of it's type because of it's characters. It is a movie with car chases and bullets, but because the film seems to be populated with actual people, there is a larger emotional weight and a more tangible feeling of tension. Ryan Gosling owns this movie. One can't help but compare him to the likes of Steve McQueen, Clint Eastwood, and Robert De Niro. His Driver character has elements from all three mens' most iconic works. He is almost completely silent, choosing instead to let his driving do the talking like McQueen in Bullitt. He is an antihero with a mysterious past and no name, like Eastwood in "The Dollars Trilogy". He is a loner with pent up agression, waiting for an outlet, like De Niro in Taxi Driver. It's a character and a performance that deserves attention and the comparison to these classic characters and the actors who brought them to life. Vanishing Point is one hell of a car chase movie. Barry Newman plays Kowalski, an ex-cop, ex-racer, ex-soldier who now works as a car delivery driver. The movie opens with Kowalski accepting a gig. The gig is to drive a white 1970 Dodge Challenger from Denver to San Fransisco. He makes a bet that he can make it there by the following afternoon. Fast driving ensues. Like the main character in Drive, very little is known about who Kowalski is exactly, or why he's doing what he's doing. The only information you learn about him is through a handful of flashbacks. I distinctly remember the first time I heard of this movie. 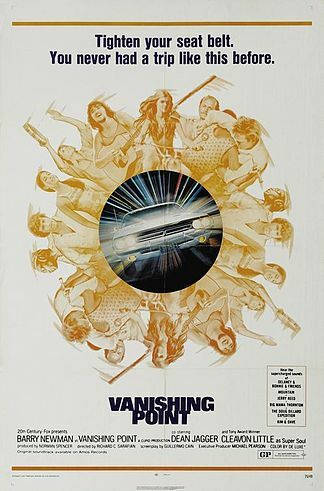 I was in my early teens talking movies with my dad, when he made a reference to Vanishing Point. Upon finding out I hadn't seen it he made it very clear I needed to fix this oversight damn quick. I hand this same advice down to you. Under absolutely no circumstances should you ever confuse Drive with Driven. Drive is a modern work of art and among the very best films of the year. 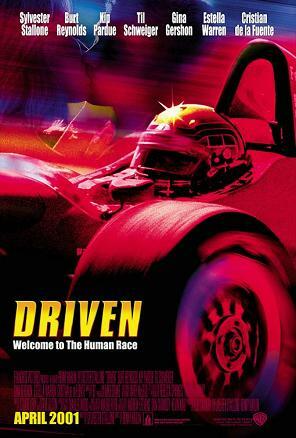 Driven stars Sylvester Stallone as a race car driver whose specialty is picking up loose change with the tires of his car. I don't understand how Sly winds up in these situations. He seems like a perfectly intelligent man. Thinking about this movie makes me sad. I'm gonna go watch Cobra. If you've seen Drive and want to see more films in the same vein you should run to the video store and pick up Le Samourai. 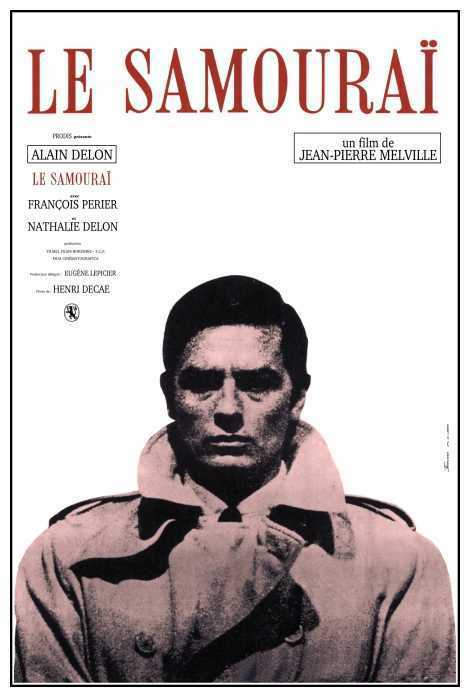 If you have yet to see Drive you should still run to the video store and pick up Le Samourai. It's probably the most influential film most people have never seen. Jean-Pierre Melville is a legend of French noir. Movies like Drive, Heat, and Sydney (aka Hard Eight) just wouldn't exist without Melville's contributions to cinema. No, I'm not going to tell you what it's about or why it's awesome. Just trust me on this one. One thing I will say is that I was extremely close to putting Alain Delon's name up in the review with McQueen, Eastwood, and De Niro. "Yeah, It's called "Drive" and there's almost no driving in it!!". I get it. I genuinely feel bad for people who got sucked into paying to see this. The blame lies squarely on the shoulders of the distribution company. It was unabashedly mis-marketed. The fast cut trailers get asses in seats...but what happens when those asses aren't happy?